Paul Fireman’s Brookline mansion is for sale for $90 million. At 24 rooms, the Brookline mansion is either an elegant palazzo set on a rare retreat of rolling lawns and ponds just a few miles from the urban bustle, or an ostentatious eyesore distracting the golfers at The Country Club. 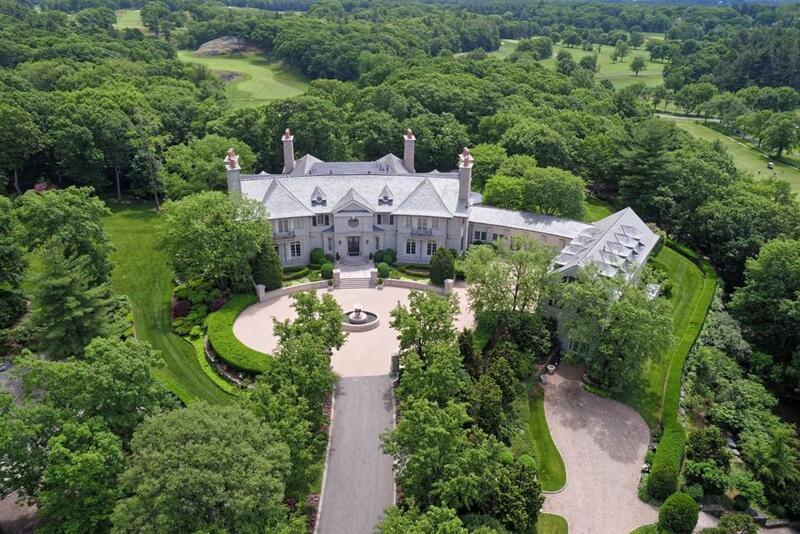 Either way, at $90 million it is by far the most expensive home listed for sale in Massachusetts. 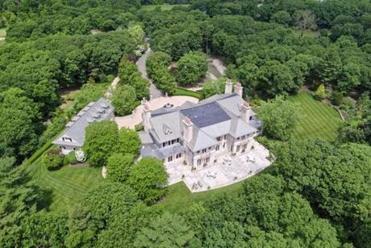 Paul Fireman, the savvy retail industry executive who built Reebok into a sporting goods giant, is selling his sprawling estate overlooking one of the region’s most exclusive golf courses. Made of Indiana limestone and featuring a grand staircase seemingly made for Scarlett O’Hara — or a Kardashian — the 26,623-square-foot single family home is advertised as having eight bedrooms, 12 bathrooms, and a four-car garage. The home has 8 bedrooms and seven bathrooms. It may have been a bit too breathtaking for Fireman’s golfing neighbors when he built the mansion in 1999. One Country Club member huffed that the house was “aesthetically offensive,” according to a Boston Globe story at the time, and another, Robert D. Chellis, suggested his fellow members were seething. Fireman could not be reached for comment, but in the 1999 Globe article, he defended the mansion. MLS Property Information Network, the service used by the region’s real estate brokers, said it is the most expensive home listed on its records. Eric Berman, a spokesman for the Massachusetts Association of Realtors, said in his 10 years with the organization, he could not remember a home listed for $90 million. He said the unusual size of the estate —14 acres just a few blocks in from busy Route 9 — probably accounts for the extreme price. The tax bill alone would buy an average house out in suburban Massachusetts: $339,000, according to the listing information. The closest recent rival to Fireman’s home is the penthouse atop the new Millennium Tower in Downtown Crossing, which investment fund manager John Grayken just bought for $35 million. A three-home complex on the tip of Nantucket is listed for $32,750,000, while on the mainland $25 million gets you a compound at the bottom of Chatham overlooking the Atlantic. Fireman is now chairman of Waltham-based Fireman Capital Partners, which invests in consumer companies. He started Reebok in 1979 and is credited for introducing the first women’s athletic shoe. In 2005 he sold Reebok to Adidas for $3.8 billion, and the shares held by Fireman and his wife Phyllis were reported to be worth $800 million. For $90 million, the Fireman home comes with an added benefit: Nearby neighbors include Tom Brady and Gisele Bundchen.